This article was originally published in the Times of India. Why is it so difficult for US media to use the word “terrorism” in the context of South Asia? Escalating tensions between India and Pakistan over the past three weeks have produced greater international coverage of the region. Yet in conveying the news, some US outlets have relied on the word “militant” to describe terrorist groups operating from Pakistan. This vocabulary choice doesn’t suggest organisations with universally condemnable violent tactics, but instead something more ambiguous about their use of violence. But armed groups such as Jaish-e-Mohammed and Lashkar-e-Taiba are terrorist organisations by any definition. US media should stop sidestepping the word “terrorist” when writing about these groups, and portray the regional security situation accurately. What does the coverage look like? The facts include a very serious sequence of events that began with a terrorist attack on a paramilitary convoy in Pulwama and led to the use of air strikes and fears of possible war between nuclear-armed India and Pakistan. In describing and analysing this sequence, a Washington Post article examined why Pakistan “has not been able to rein in anti-India militants”. Reuters employed the term to discuss Pakistan’s renewed vow to crackdown on these groups. Covering Indian foreign secretary Vijay Gokhale’s February 26 remarks explaining India’s air strikes, an Associated Press timeline rephrased him, substituting “militants” for “terrorists”. In the New York Times, a story on the Financial Action Task Force (an inter-governmental group on anti-money laundering and counter-terrorist financing) used “militants” in the headline and alternated between “militant” and “terrorist” in the article. This soft-peddling may appeal to journalists trained to abhor hyperbole. But it makes no sense. The JeM and LeT are two particularly dangerous India-focused terrorist groups headquartered in Pakistan. Despite periodic government crackdowns, usually under international pressure after an attack in India, both groups have thrived in Pakistan virtually unfettered. So poorly enforced are any supposed sanctions against them that last year the LeT tried to register as a political party to contest national elections, and after that was rejected, ended up fielding candidates anyway under a different name. 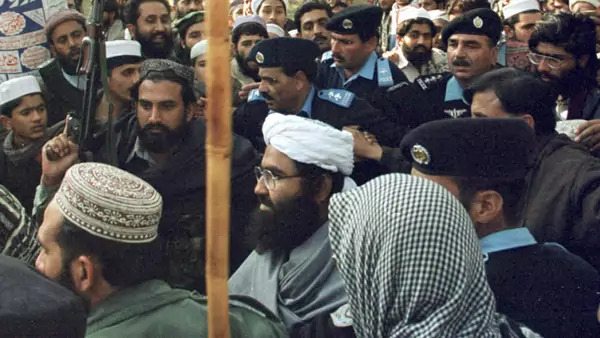 While Pakistan houses a variety of terrorist groups — including the Afghanistan-focused Haqqani Network — JeM and LeT in particular destabilise the South Asian region by mounting terrorist attacks in India, raising the spectre of further escalation. India holds JeM responsible for attacks on its parliament in December 2001, an airbase in Pathankot, Punjab in January 2016, an army camp in Uri, Kashmir in September 2016, and the Valentine’s Day attack that sparked the current crisis. It has been implicated in the 2001 suicide attack on the Jammu and Kashmir legislative assembly, an assassination attempt on former Pakistani president Pervez Musharraf, and the murder of Wall Street Journal journalist Daniel Pearl. Similarly, LeT is responsible for, most notably, the Mumbai attack of November 2008, which killed 166 people, as well as the 2001 parliament attack. JeM and LeT have been under international terrorism sanctions for nearly two decades. In October 2001, both were added to a sanctions list under UN Security Council Resolution 1267. This requires member-states to freeze assets, impose a travel ban, and “prevent the direct or indirect supply” of arms and other assistance to designated groups. In December 2001, the US government added JeM and LeT to the Foreign Terrorist Organization list, and further designated LeT under Executive Order 13224, another terrorism sanction. Pakistan actually banned both these groups in January 2002, although they promptly regrouped under other names and remained active from Pakistani soil. But both are officially on the Pakistani National Counter Terrorism Authority’s proscribed list. In other words, there should not be any dispute over their status as terrorists. Perhaps writing about “militants” instead of “terrorists” is meant to suggest even-handedness, a means of balancing what India says with what Pakistan often denies. Or perhaps the rationale lies in a newsroom ethos of lowering the emotional tenor by using a word less likely to create fear. It may even result from an incomplete awareness of the many years throughout which these two groups have been under international scrutiny and legal proscription. Regardless of the reason, the practice downgrades the threat these groups pose to regional peace. But JeM and LeT are a menace to South Asia. Scenarios of conflict escalation between India and Pakistan inevitably begin with a terrorist attack in India, traced back to Pakistan-based groups. That’s exactly what happened on February 14. It could happen again if not tackled permanently. For that reason alone, JeM and LeT should be recognised for the dangers that they are. And above all, call them by their name: terrorists.